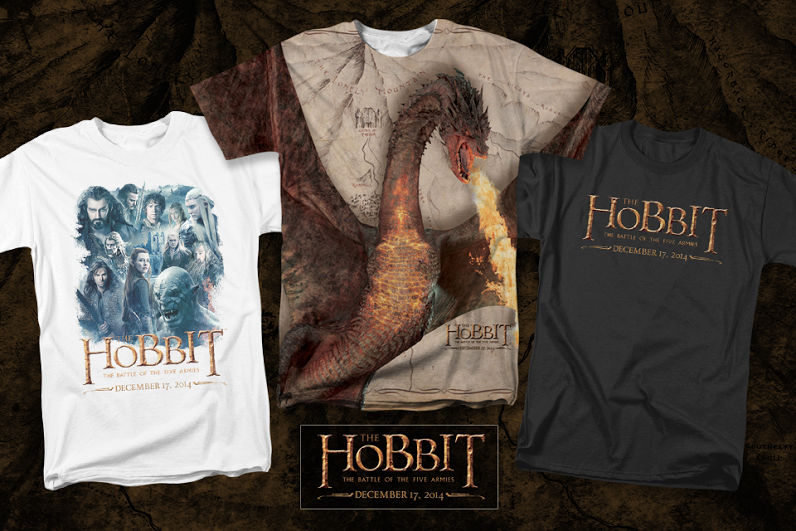 Help HobbitShop.com choose this year’s official Opening Date T-Shirt for #TheHobbit: The Battle of the Five Armies! Take this quick survey to select your favorite design: click here. There are five designs to choose from – one might even call it the Battle of the Five Shirts… I know which one is my favourite! Which gets your vote?